those look a little too good to have at my house. 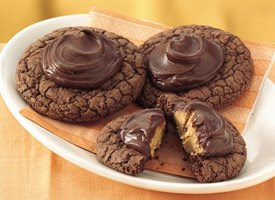 I'm pretty sure I'd eat all the peanutbutter cups before they went into the cookies anyway. Been missing you guys lately. Did you just have spring break? Enjoy it, whenever it may be. Love you guys!